“It is the truth. Because if you do not take care of your heart”, and “you always live far away from the Lord, perhaps there is the danger, the danger of continuing in this way, far away from the Lord for eternity. This is very bad!”. It is sad, there are these New Age Productions Psychic Nights that keep popping up at many of the diners across Staten Island. And most of the customers are Catholics who have no idea that they are putting their souls in jeopardy and are possibly opening up portals to invite evil spirits into their lives. What is the harm, right? I miss my deceased loved ones why can I not attempt to reach out to them? Why is the Church always trying to tell me what to do? Why are there so many "rules"? What is the big deal? Well, I think the salvation of one's soul is a pretty big deal! Hell is for real. NEW Book Trailer: "Called to Love A Listening Heart"
Welcome all to my new and improved Called to Love - A Listening Heart blog! 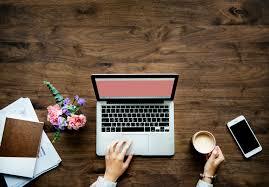 For those who are new to my blog my name is Christina Sorrentino, and I am blogger and writer from Staten Island, New York. The title of my blog, "Called to Love - A Listening Heart" was inspired by my vocation to discern the consecrated life as a religious sister. I am an aspiring religious sister who is living her life each day trying my best to do God's will. 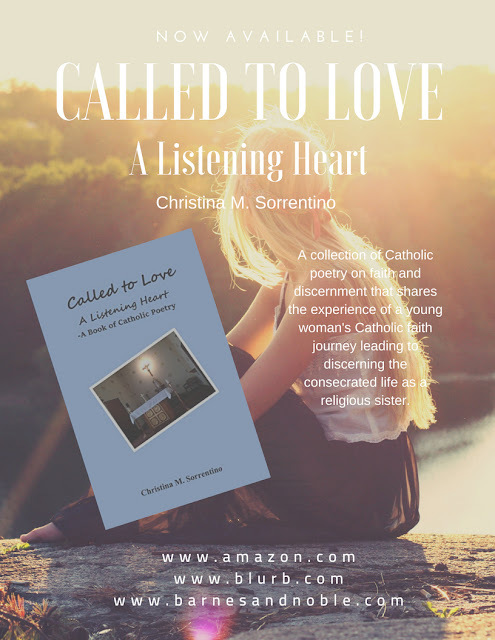 I have written for various Catholic online and print publications, and I am the author of the book, Called to Love - A Listening Heart: A Book of Catholic Poetry. 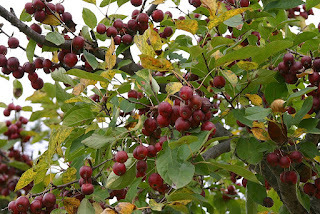 I hope that this blog can help to inspire you to consider your own vocation and God's will for your life, and to deepen your faith in Christ. 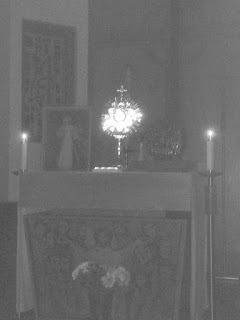 I wrote today's #BISblog for Blessed Is She​, Jesus My Everything: On Adoration. May you all find comfort in the quiet of your own hearts spending time alone with Jesus.